FightMichigan.com has news from W.K.C. 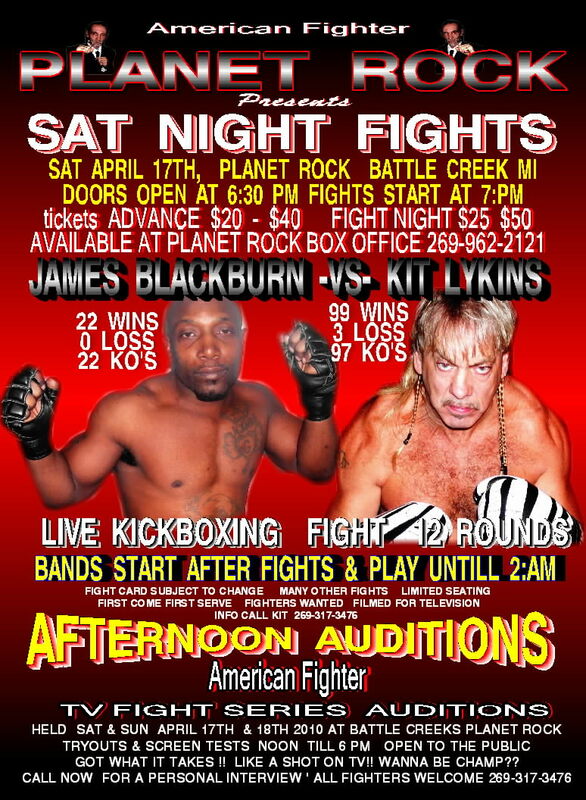 World Heavyweight Champion Kit Lykins, who is promoting a show this Saturday Night, but also auditioning MMA fighters for a 16 Cheap Football Jerseys episode Reality TV show about fighters. They’re looking cheap football jerseys china for 60 fighters to appear in the TV show. Keep reading for more details. Battle Creek’s Kit Lykins, W.K.C. World Heavyweight Champion, will put his 99 wins, 3 losses, and 97 KO record on the line against undefeated fighter James “Bone Crusher” Blackburn, whose record is 22 wins, 0 losses, and 22 KO’s. This fight will be a war says Blackburn who will fight a world champion for the first time. Lykins has a record 47 world title defenses over 28 years. This fight Wholesale Jerseys could be on pay per view, but instead is being filmed for free television. Planet Rock was chosen for the fight as part of the “Bar Wars” series to be filmed by “American Fighter,” a 16 pilot TV series. Planet Rock’s new owner, Bruce Tuck, wants to expand the bar’s exposure through more events on television. Blackburn, who is 32 years old, is a wrecking machine knocking out everyone in his path. Lykins, who is 52 years old, says he enjoys fighting the younger fighters an “until a younger man whoops me, I’ll keep fighting.” He wants 100 KO’s before he retires and doesn’t want to cheat to get it. He wants “the baddest men on the planet to fight” and cheap nfl jerseys shop states that that way no one will say he did it the easy way. Lykins has lost 100 lbs. and is down from 265 lbs. to 170 lbs. in order to try and fight for the boxing world title to give him three titles which include “Kickboxing, MMA and Boxing.” No one has ever been champion in A all three, says Lykins. 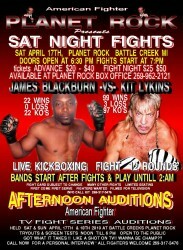 James Blackburn is a throwback fighter who will not stop. 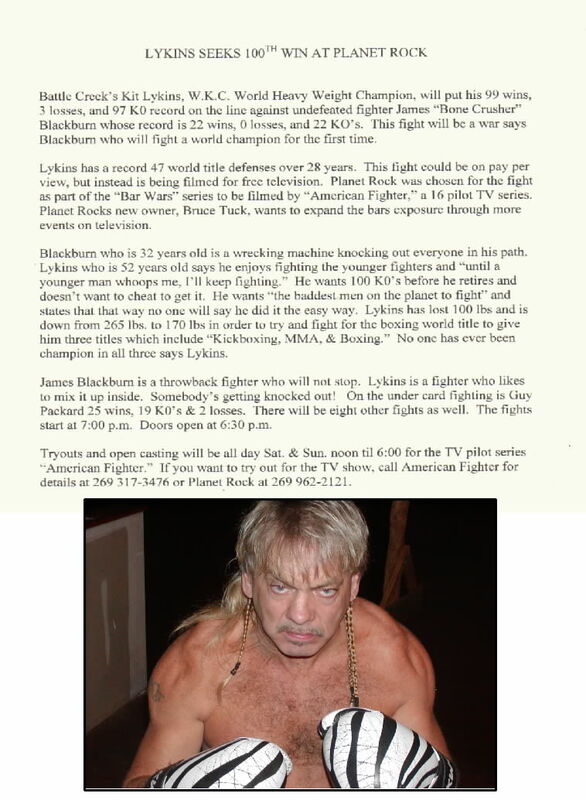 Lykins is a fighter who likes to mix it up inside. Somebody’s getting knocked out! On the under card fighting is Guy Packard 25 wins, 19 KO’s & 2 losses. There will be eight other fights as well. The fights start at 7:00 p.m. 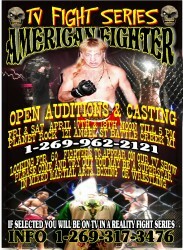 Doors open at 6:30 p.m.
Tryouts and open casting will be all day Sat. & Sun. 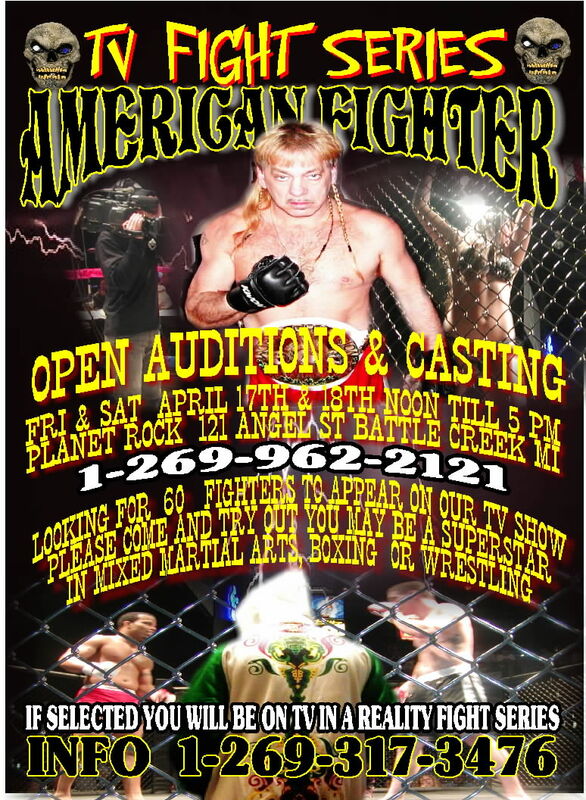 noon til 6:00 for the TV pilot series “American Fighter.” If you want to try out for the TV show, call American Fighter for details at 269-317-3476 or Planet Rock at 269-962-2121. So head out to Planet Rock this weekend and maybe you’ll end up on TV, fighting for the whole world to see! Let us know in the comments if you’re planning on going! Tagged American Fighter, Kit Lykins. Bookmark the permalink. Davy Has been invited by the man himself Kit Lykins.. See you My friend…..